I’ve had a good year sewing wise. Despite most of the time not having access to a sewing machine (it’s back home in Wales), I’ve actually managed to make quite a bit. I quite like the idea of a sewing round-up to remind myself of what I’ve made in the past year if nothing else. So here’s what I accomplished in 2017. 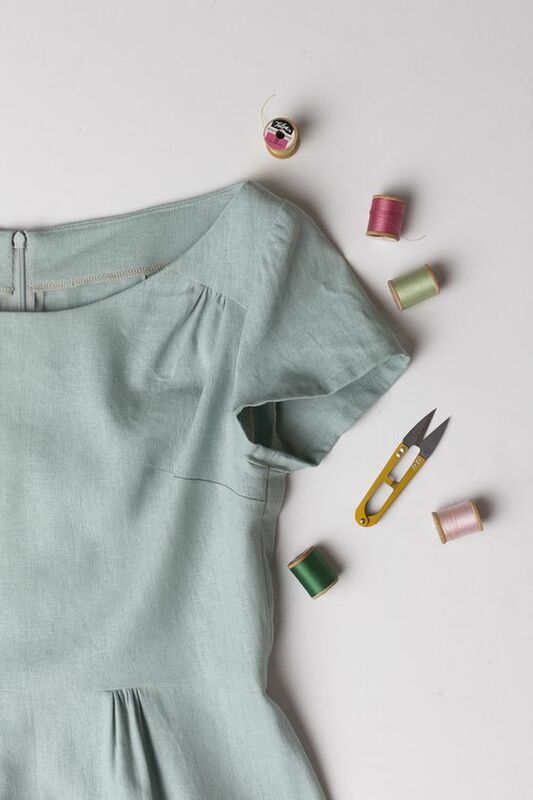 This year is flying by and, as ever, I have a long list of things I’d like to sew the next time I’m reunited with my sewing machine at Christmas. 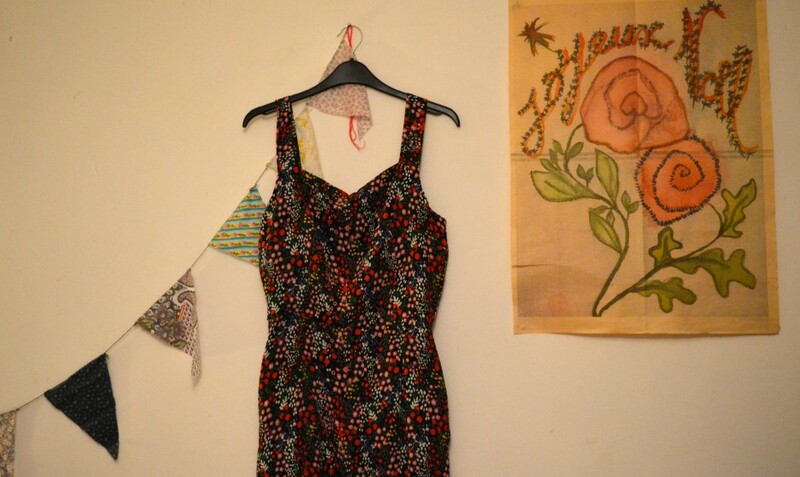 I’ve got plans for party dresses, slouchy dresses, cord pinafores and even a top or two. So here’s what I’m planning to make during the festive period. Who knows if I’ll get it all done though? But apart from that, there’s also the Tilly and the Buttons Martha or even a longer length BHL Anna. 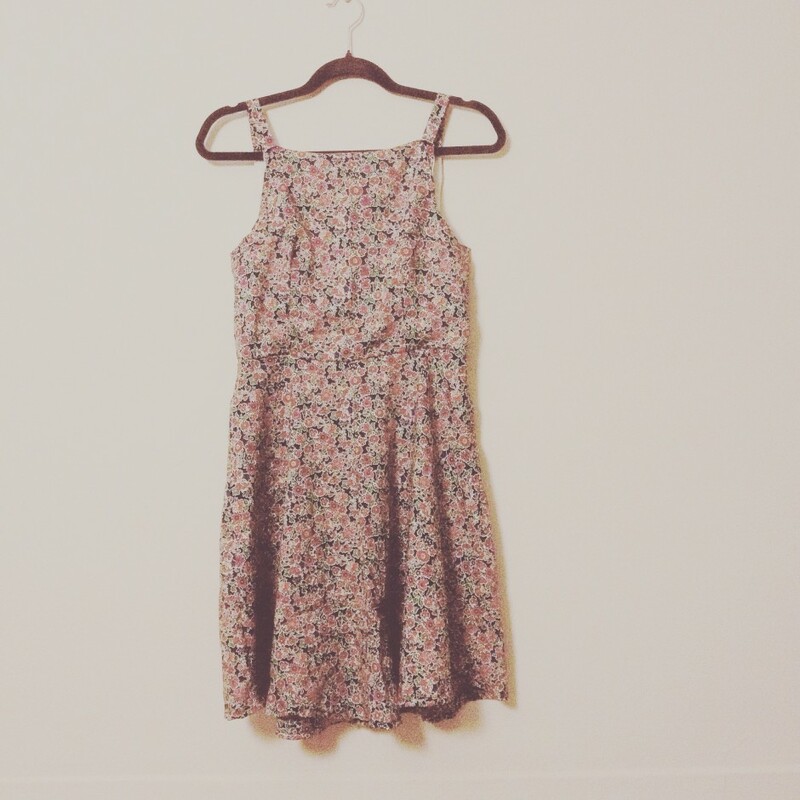 Read about my love for the Anna dress here. Doesn’t everyone want a dress they can wear during the festivities? One that looks great but doesn’t compromise the sheer amount of overeating we’re all guilty of over Christmas. I’m imagining this in a dark denim like the above dress from ASOS. 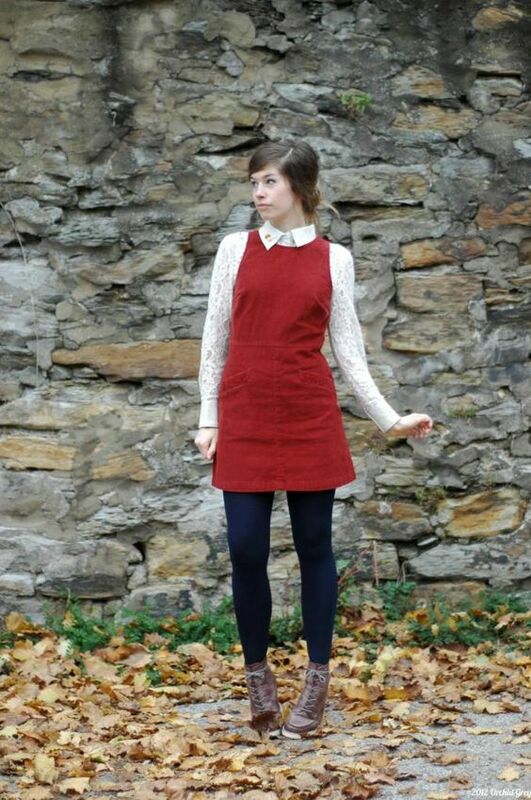 Ever since I saw this Pin ages ago, a red corduroy pinafore dress has been on my wishlist. 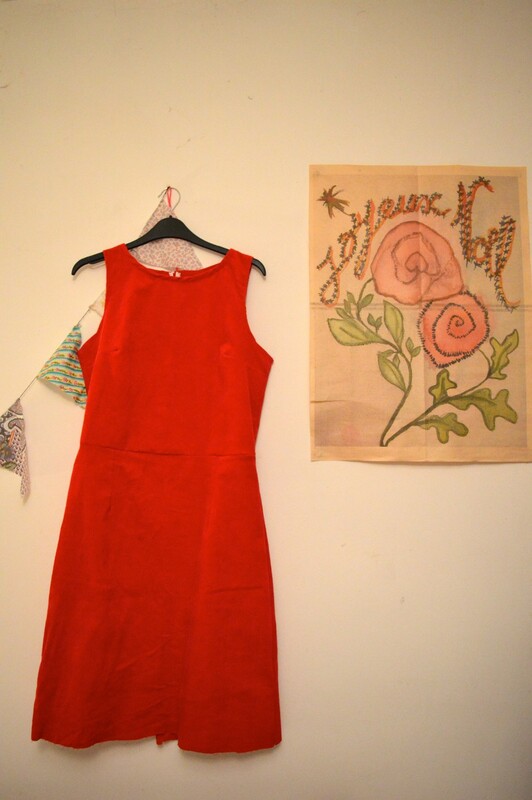 I’ve had my eye on a few different shades of red online, but I’m planning a pre-festive trip to Goldhawk Road or Walthamstow to search for the perfect fabric for this one. 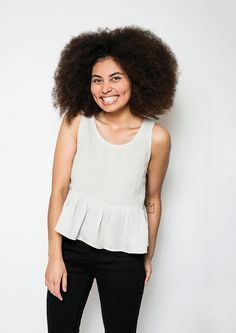 I have a full-on obsession with peplum tops and this In the Folds top is one I’d like to add to my list next. Plus, it’s free! What’s not to love about this? It’s a great dress-up piece for wearing with jeans or trousers this festive season. I find tops incredibly quick projects and the New Look 6483 is a firm favourite. I even got my friend who makes incredibly intricate quilts into garment making with this one and I made a quick version a few months ago too, which I’m yet to blog. I don’t have a set fabric in mind for this one, but am likely to use some leftover fabric for this make. 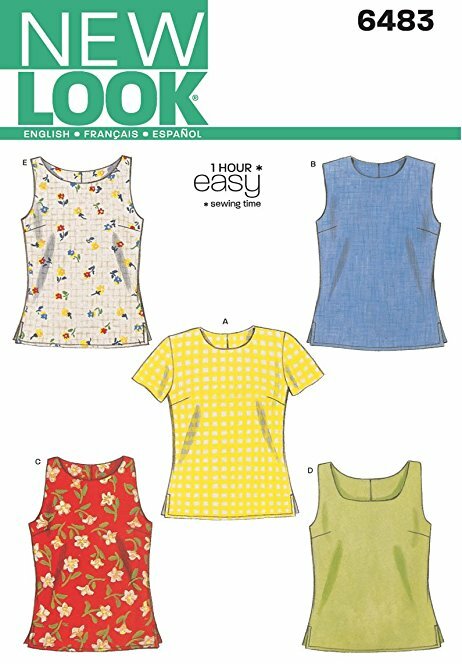 What are your winter or Christmas sewing plans? I’d love to find out more. 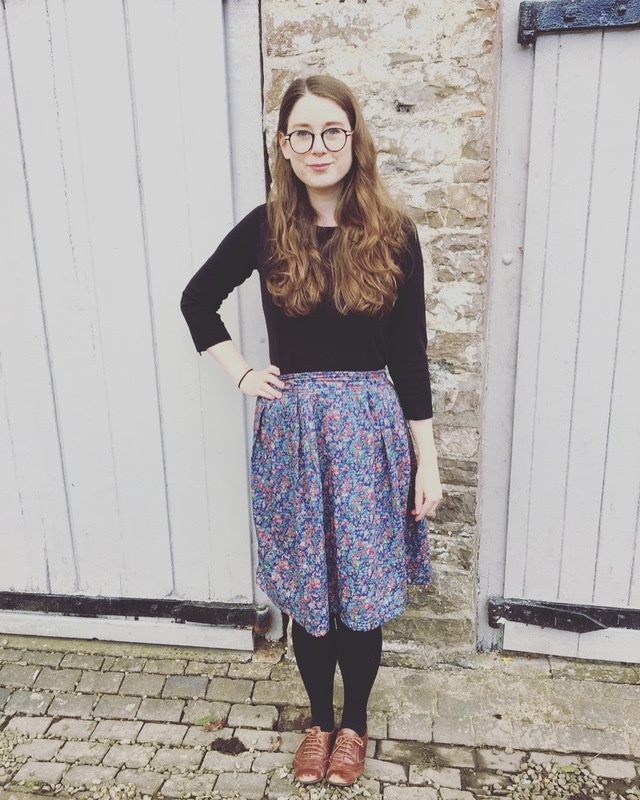 I started this Liberty print skirt ages ago along with a tartan version. I had visions of one midi length pleated skirt and one to-the-knee version, both made from the same tutorial. 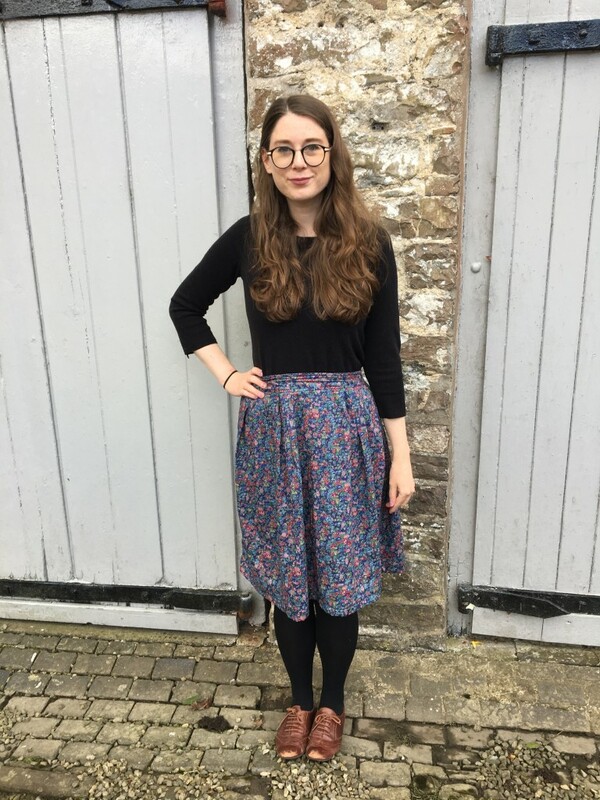 I followed Almond Rock’s guide on how to make a pleated skirt but I’m not that great at maths and it came out too large. Both of these skirts therefore ended up on my pile of unfinished things. But then, when I was home last, I decided to salvage this one. I just loved the fabric too much! The quality of the tartan was not that great so I’ve left that one on the sewing pile for now, but I’ve got plans to use it as a jazzy lining for a jacket at some point. I pulled the waistband in by quite a bit and based the pleats around that. I added four pleats to the front skirt and four to the back. I prefer pleats over gathers in skirts as they’re more flattering, don’t you think? At first the length was just below my knees but I took off quite a bit of length to make it in a style that best suits me (tried and tested of course) and I’m much happier with it this way than if it were longer. I bought the fabric on Ebay and it was described as a crepe cotton rather than a tana lawn which gives it more structure but I’d definitely choose a tana lawn over this the next time I make it. There’s just something special about a tana lawn. 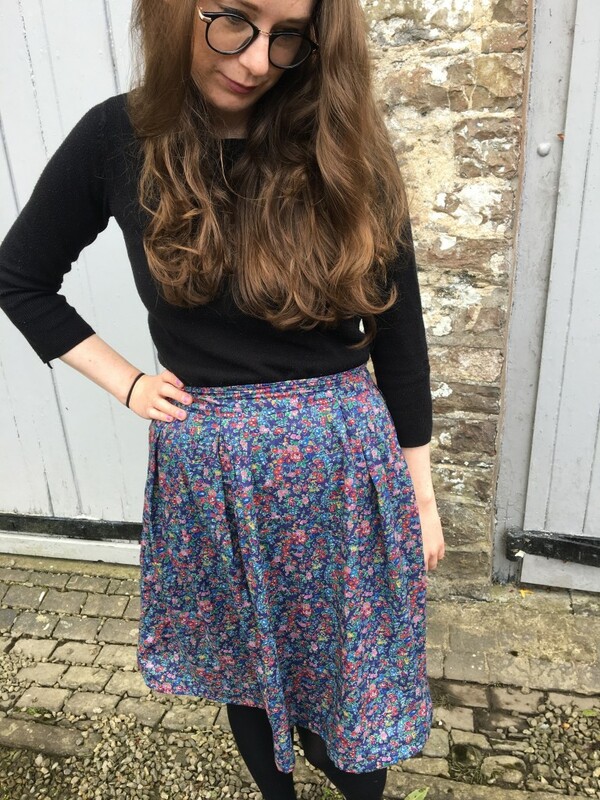 The fabric is Liberty’s Tatum, a firm favourite which I’ve featured before here and here (this last one is what I made from the leftover fabric I had from the skirt). 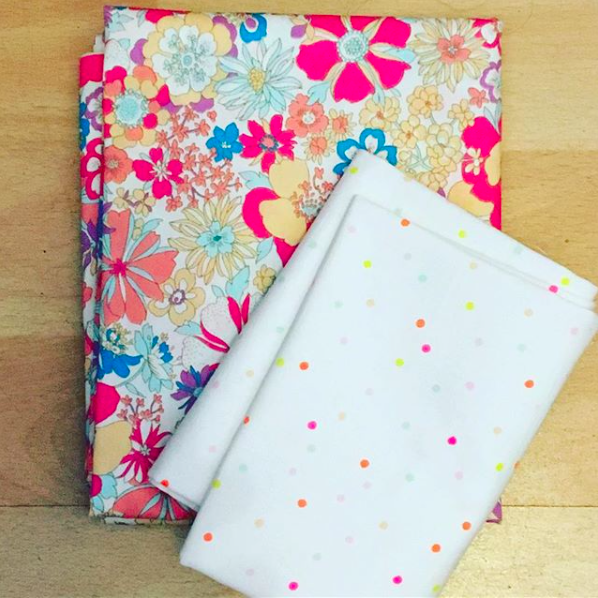 I think this fabric is my all-time favourite Liberty fabric but it’s just too hard to decide between them all. What do you think? Worn with my all-time favourite brogues and a black long-sleeved top this is my current favourite outfit!